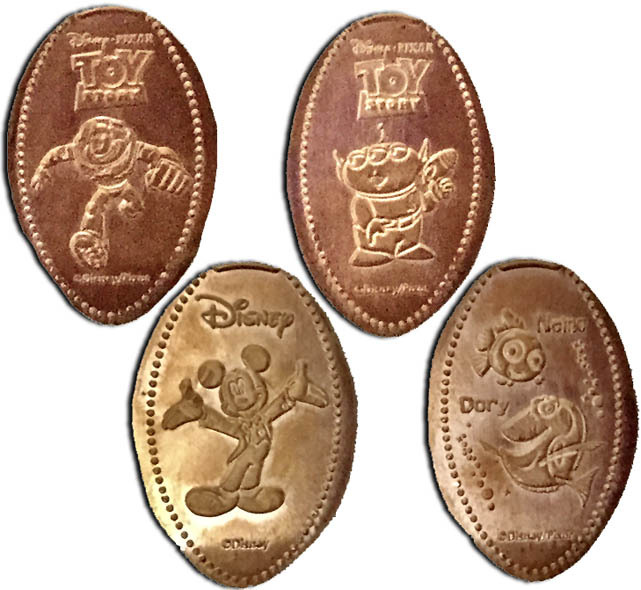 For the Walt Disney World design guide, consult the lists at http://www.presscoins.com, an excellent site for all Walt Disney World information. Retired/ Moved 3: (2016) designs are Marvel characters: 8 Design Machine . 1/23/16: Machine 1 is Retired. 2015: 8 penny Machine 2 added. 10/16: 8 designs Marvel character Machine 3 added here.